Pacific Union has joined forces with Compass, a national real estate brokerage focused on empowering agents to better serve our clients. Pacific Union’s long-standing commitment to our communities, knowledge of the local markets and decades of experience combined with Compass’ unique offering provides several advantages that will benefit our clients. 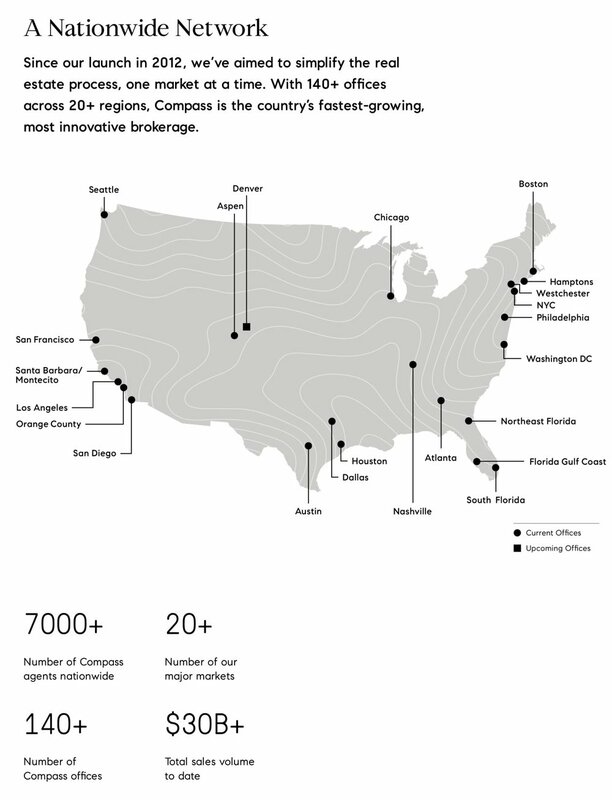 Compass has a network of more than 6,400 agents across the top markets in the United States while the Compass digital suite is connected to a global network of top agents on an international level. Compass’ technology platform will assist in providing better analytics and insight into the intricacies of our marketplace. We are proud to note that 100% of transactions result in Compass making a donation back into our local neighborhoods and communities. In the next year, Compass anticipates contributing more than $10 million to better the neighborhood we serve. Giving back is central to the Compass mission. We are proud to be part of that mission.